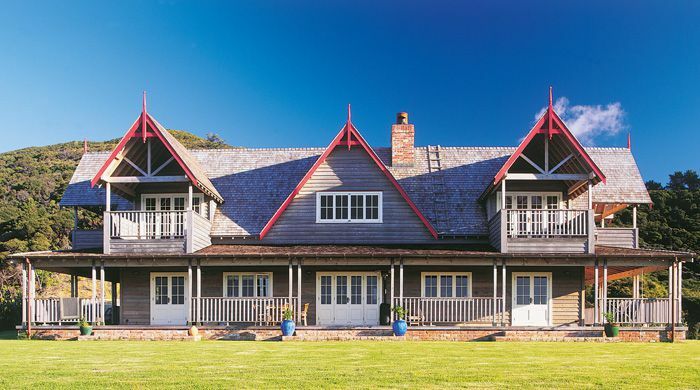 Set on a hillside, 50 metres above sea level amid 108 acres of manuka bush, this intimate and luxurious bed and breakfast lodge makes a great base from which to enjoy a stress-free stay on Great Barrier Island. 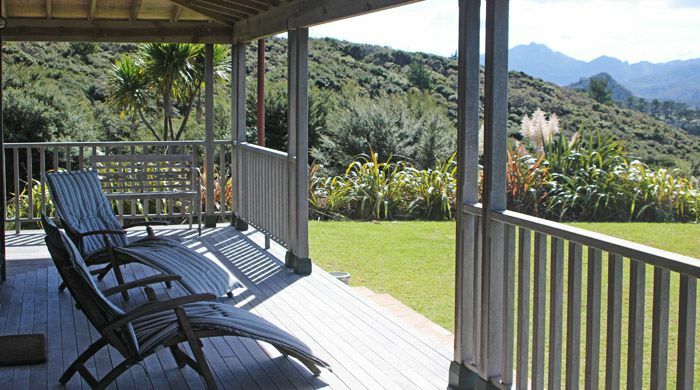 We recommend staying at least two nights to make the most of the special surroundings: Mount St Paul Lodge overlooks the two-mile-long Kaitoke Beach and the Pacific Ocean, while Medlands beach is also easily accessible via a scenic 30-minute walk. The lodge is part of an estate where green kaka parrots are often seen and heard overhead, and owls and fantails can sometimes be seen. Welcoming hosts Chris and Teara organise a quick transfer for their guests, from the airport to the exclusive and well-kept lodge, following the 25-minute flight from Auckland. Accommodation at the lodge is in two en suite rooms with emperor-size beds, bath and shower; or in a double with a private bathroom just across the corridor. Teak and cane furniture, Turkish rugs and antique New Zealand maps and paintings are among the furnishings that give the lodge the feel of a 19th-century home - but with modern conveniences such as ceiling fans and central heating. A broad veranda at the front is an especially charming spot, and just the place to settle down with a book, the view and a glass of fine New Zealand wine. Fresh, organic, locally sourced cuisine prepared by the lodge's classically trained in-house chef ensure guests enjoy a wonderful dining experience at Mount St. Paul Estate. Each morning guests are served a hearty 'full Kiwi breakfast' and in the evening a three course seasonal menu provides the perfect end to a day exploring the island. Guests can also order picnic lunches, and the lodge's ever helpful hosts are more than happy to help make reservations at restaurants around the island. 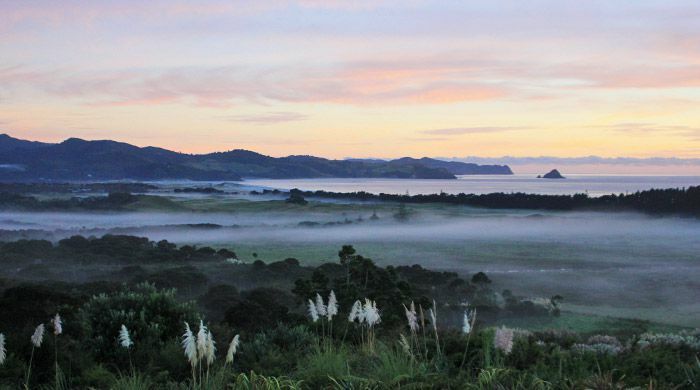 A stay at Mount St. Paul Estate is all about relaxing and enjoying the pristine nature of Great Barrier Island. Guests wishing to try some of the many local activities - which include walking, fishing, snorkelling, boating and riding - can arrange these through the lodge or prior to arrival. With world-famous wineries brushing up against the hotel’s doorstep, this is a change to stay among a slice of viticulture history.